Lax Limousine is a luxury vehicle which is basically hired for special occasions. Whether it is for nights, parties, or weddings, a Limo ride is forever the demand for many who wish to travel in style. 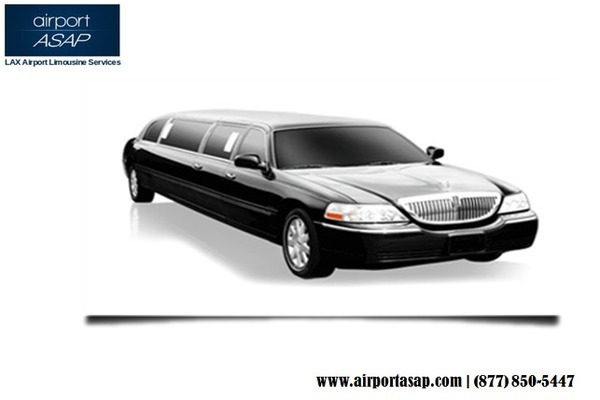 At Airport ASAP, we provide a range of Lax Limousine which can indeed get you the greatest experience. Frankly, the popularity of Limo dates back to many moons back nevertheless, the sheer notion that it is the “car for the rich” always made the middle-class people wary to even imagine a ride in it. However with time, Limos became accessible for average earners and with the growing business for Limo car hire service, it is no longer a distant dream. But of course, the quality of service differs and you must take into account when you land in Los Angeles. 24/7 ride service – At Airport ASAP, we ensure to comfort our clients with our 24/7 service. There are times when the phone buzzes and you are summoned to head out for an urgent and unavoidable work and you helplessly look for options to hire a car service that could immediately help you reach in the place. Precisely Airport ASAP is the best to choose for combating such unpredictable situations, our 24/7 service is indeed the best you can find in LA. We are extremely professional and understand the travel urgency of our clients quite well. The fact that we are 24/7 open goes on to establish our greatest credibility factor. Best fleet of Limos – Our Lax Limousine service can completely be trusted and valued for providing the finest fleet of Limos. Nobody likes to face hassle while travelling and want to settle for a good choice of car which can throughout ensure their comfort and provide them with the pleasure of a luxurious ride. With our Lax Limousine, you certainly can be certain about travelling in a classy and swanky Limo. Business service – Lax Limousine enjoys a great demand from corporate entities. There is not even an iota of doubt that a ride in Limo can speak a lot about your personality and enhance your reputation in a great way and what exactly is the reason for business people prioritizing the Lax Limousine over other kinds of car service. We at Airport ASAP offer a fulfilling experience for our corporate travellers that too with the added advantage of alluring discounts. If you are interested to hire a Lax Limousine for your corporate commitments, you certainly can rely on us. Licence car hire service – It is important to conduct a thorough background check before actually hiring a Limo service. Make sure to get on board a Limo service that can guarantee you about following all the essential norms needed to operate the business in the city and moreover has the adequate professional rights about delivering the Limo service. A lot of people might find the whole process tedious and may just try to avoid getting into the details, but the collection of basic information is highly required which you must ensure to focus on. Now that you know what you should be looking for when hiring Lax Limousine ride, ensure to follow the necessary tips and make your travelling experience in LA an absolute delightful pleasure. With Airport ASAP, you certainly can get what you want. So, what are you waiting for? Hurry up and hire us right now!